The English language is not a thing but a process, not an archaic institution but an experiment that is constantly evolving and re-invigorating itself. 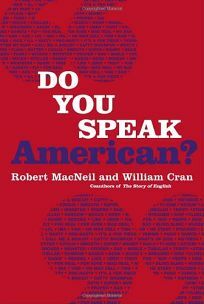 According to language experts MacNeil and Cran, no one should understand this better than Americans who, steeped in a culture of diversity, are uniquely equipped to appreciate the exciting, colorful and democratic nature of language. Although not all Americans appreciate this vibrancy-many prominent linguists are found bemoaning the state of English, horrified that people still do not understand the difference between who and whom-the evidence of an ever-changing language is indisputable, from the New York Times printing the word ""sleazoid"" in a column to the Oxford English Dictionary adding ""blogger"" to its latest edition. To better understand the diversity of American English, the authors embark on a fascinating journey across the United States, studying the conversations of Boston natives and rural Texans, inner-city blacks and valley-girl teenagers. The result is an exhilarating celebration of the ways that Americans express themselves and a testament to the indestructible power of language, whether one is using ""correct"" grammar or not. Traditional linguists might not approve of the way modern Americans are talking, but they will never be able to stop the English language from moving forward and, as this book successfully proves, there is nothing more American than that.